Carry On is a ghost story, a love story, a mystery and a melodrama. It has just as much kissing and talking as you'd expect from a Rainbow Rowell story—but far, far more monsters. Take my money, Ms. Rowell. I can't even. This makes me so happy! 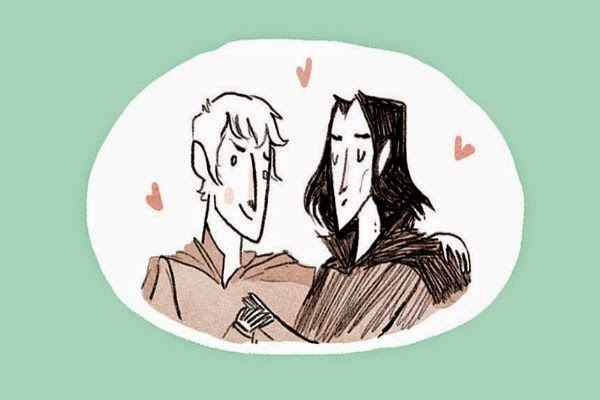 I was talking to a friend the other day who said she loved Fangirl but skipped all the Simon and Baz parts, and I was like, " . . . *blink* . . . *blink* . . . "
I know! I talked to a few who said the same and I'm just . . . unresponsive. I'm sorry, did you not read Simon & Baz's scenes together?! OMG. Really???!!! This is amazing news, I loved Simon and Baz! YES!! So did I. I'm just sort of giddy that this is her next book. This is such amazing news! I LOVED the Simon and Baz scenes. They are so deserving if their own book! I wonder if she'll include some of the scenes already in Fangirl. See? Yes. They deserve them. I can't wait to read their story. This is what I keep asking myself! A couple of those . . . yeah. I really hope she does. DUDE I CANNOT WAIT. I am hoping Baz and Simon become a thing THEY NEED TO BE A THING. It's SO for real. I can't stop grinning like a fool. CANNOT. WAIT. She said it's a love story. They have to be a thing!